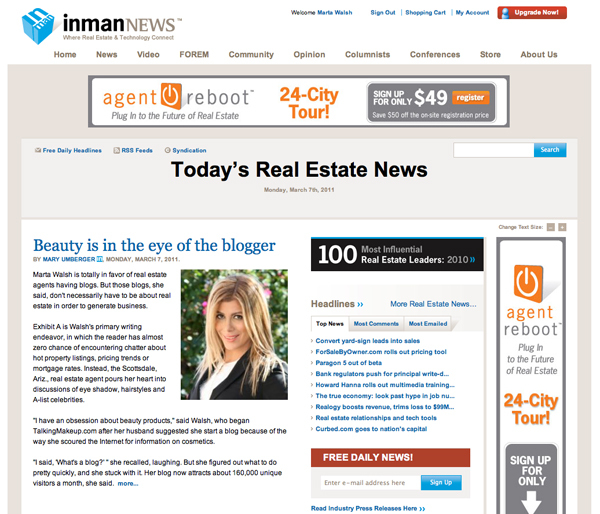 I’m super excited for my interview with Inman.com a top Real Estate online publication where I got to talk all about fashion & beauty blogging and Real Estate. 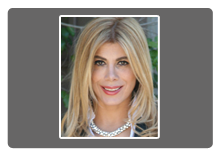 The article in titled “Beauty is in the eye of the blogger” and is written by Mary Umberger. Here’s a sneak peek! “I have an obsession about beauty products,” said Walsh, who began TalkingMakeup.com after her husband suggested she start a blog because of the way she scoured the Internet for information on cosmetics. “I said, ‘What’s a blog?’ ” she recalled, laughing. But she figured out what to do pretty quickly, and she stuck with it. Her blog now attracts about 160,000 unique visitors a month, she said. 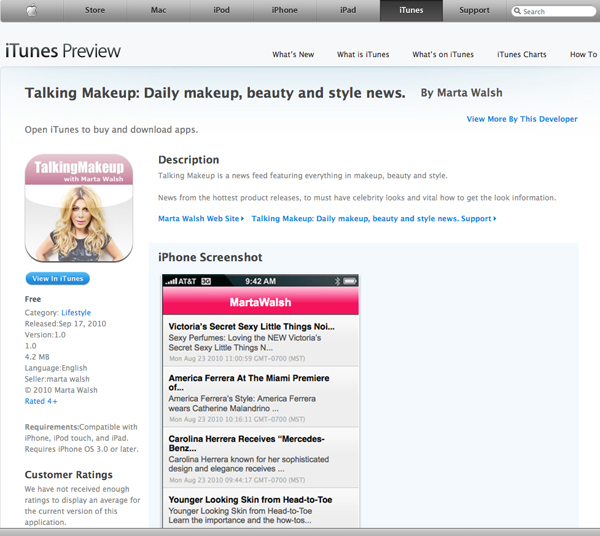 TalkingMakeup.com In GLAM’s Top Global Fashion Blogs in the United States! I stumbled upon this post in www.agent2magazine.com where I found out that TalkingMakeup.com made it to GLAM’s Top Global Fashion Blogs in the United States! Last week I had an amazing opportunity to meet Salma Hayek during lunch in New York City..Read Full Story In TM. AOL Stylelist 100 bloggers unite for the Ralph Lauren Pink Pony Campaign to support a cure for cancer! 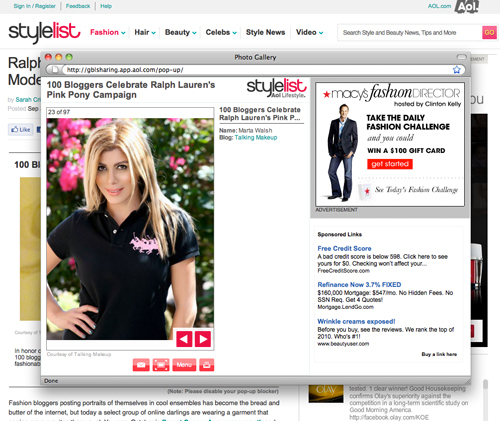 I must say, all my fellow bloggers look smashing:) Thank you Ralph Lauren! “In honor of the 10th anniversary of Ralph Lauren’s Pink Pony foundation, the designer selected 100 bloggers to model the latest Pink Pony polo…see how these fashionable (and wordy) talents styled their look in honor of this incredible initiative”. Marta Walsh Interviews With Michael Cohen. Here’s an exert from my interview with www.askemichaelcohen.com. “Beauty Expert Marta Walsh Talks Kardashians, Spring Trends and Wrinkle-Free Skin. There is something to be said about a woman who conquered New York University’s STERN School of Business, worked on Wall Street and left it all behind to start a beauty blog. I’m a huge fan of fashion designer Chris Benz. 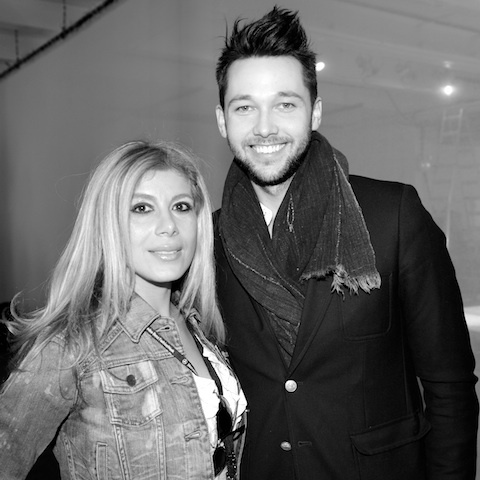 I met him backstage at his Fall 2010 fashion show and he was the sweetest to take a photo with me and to interview with me. 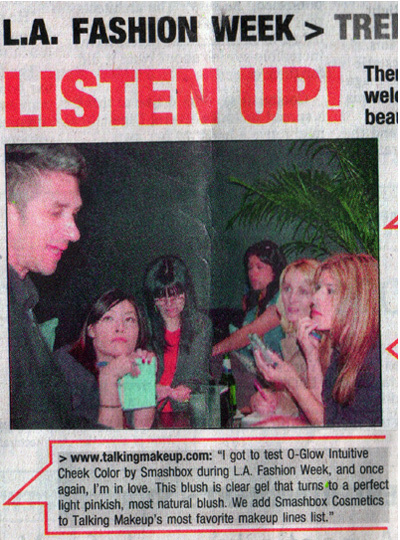 Marta Walsh & TalkingMakeup.com featured in WW Magazine “Best of” Interview:) Article hits stands tomorrow. 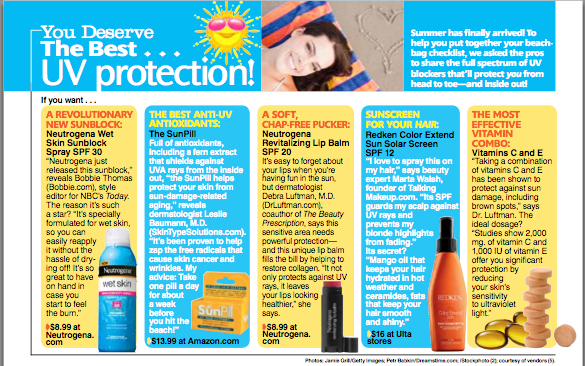 My product pick was Redken Color Extend Sun Solar Screen SPF 12. I contributed to an article by Kristina Mastrocola in Woman’s World Magazine titled: “You deserve the best…deodorant.” My favorite deodorant choice was Dove Ultimate Visibly Smooth. I’m so excited because Talking Makeup’s Beauty Interviews section was mentioned in UK’s The Telegraph! 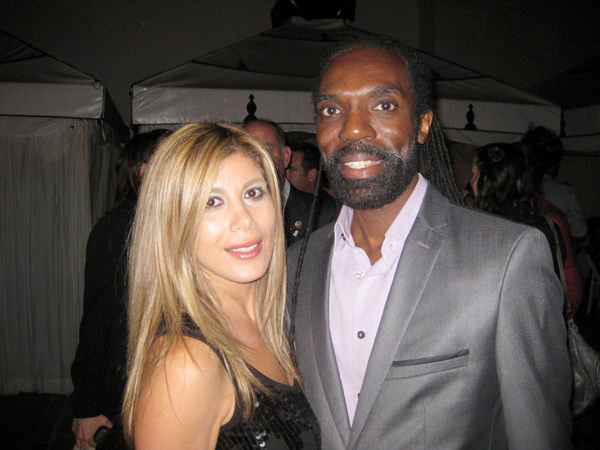 Marta Walsh with Edward Tricomi co-owner of Warren Tricomi Salon in New York City. Photo Credit: Amber Rima McLinn Photography. 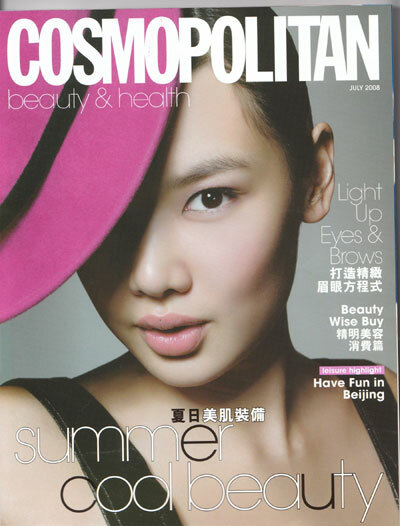 Marta Walsh in Cosmopolitan Hong kong July 2008 Edition. Marta Walsh in LA Daily News, March 18th 2008. Meeting NOH8 Campaign founders Jeff Parhsley and Adam Bouska and photographing for the cause was one of the most amazing things I’ve done so far on this planet. I always wanted to be part of a revolution or a pioneer group that helps the world move forward and become better, smarter, more loving. 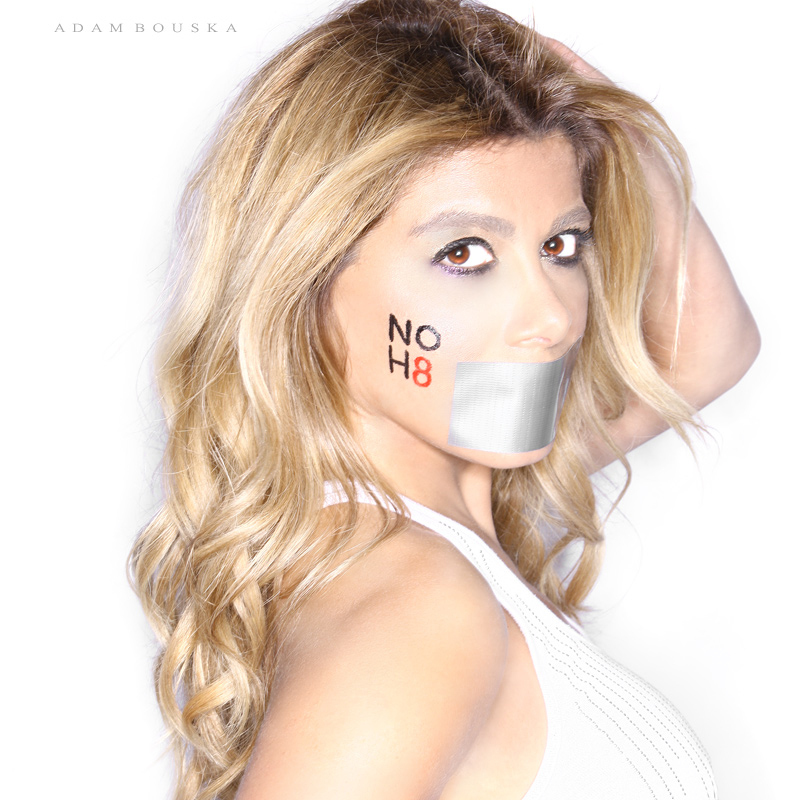 So on one sunny day in Los Angeles this photo of Marta Walsh for NOH8 was born. Thank you Jeff & Adam you are my inspiration! Marta Walsh with the NOH8 Campaign founders Adam Bouska (left) & Jeff Parhsley (right) at my very own photo-shoot for the amazing cause in LA, August 2010!! L to R: Tom Pecheux and Marta Walsh at the Peter Som Fashion Show Fall 2010. Tom Pecheux is a renowned makeup artist and Estée Lauder’s Creative Makeup Director. Marta Walsh with Milly’s designer Michelle Smith at the Milly for Clinique Cosmetics Bag launch party at Bloomigdale’s 59th street in New York City 2010. L to R: Marta Walsh and Tim Quinn, Giorgio Armani’s Celebrity Face Designer National Director, Creative Artistry (2009). Marta Walsh with BJ Coleman the Publicist, the journalist, the personality. President and CEO of Coleman Entertainment Group. What would you do different if you could in the past? Anything? Find out in my interview with top New York City blogger Jovana Miljanovic.